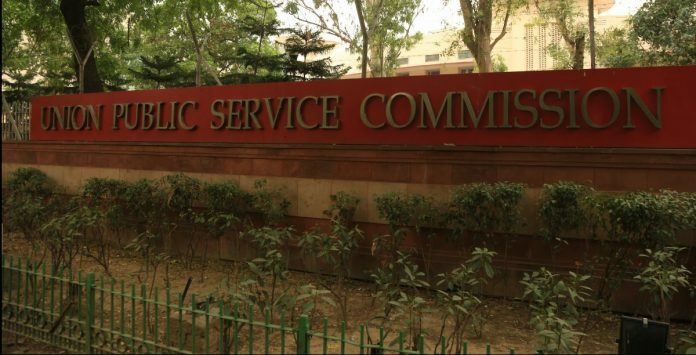 New Delhi: There might be good news in store for examinees who try for years but fail to crack the Union Public Service Commission (UPSC) recruitment exercise for civil services such as Indian Administrative Service (IAS), Indian Police Service (IPS), and Indian Foreign Service (IFS). The UPSC has recommended to the central government that candidates who do not qualify beyond the interview stage of the exercise should be recruited into the government in other posts. “We have proposed to the central government and the ministries to recruit people from the list of candidates who make it to the interview stage in civil services and other exams, but fail to get picked up,” UPSC chairperson Arvind Saxena said on the sidelines of the 21st national conference of chairpersons of state public commissions in Bhopal. On average, about 10 lakh candidates appear for the civil service exam every year. About 10,000-12,000 make it past the preliminary examination, while around 3,000 make it past the mains examination to the interview stage. Eventually, 600 are recruited by the government into the civil services. Since those who make it to the interview stage have already gone through the grind of two stages of elimination, they can be utilised by the government for posts outside of the civil services, Saxena added. A senior official of the Department of Personnel and Training (DoPT), the nodal ministry for the UPSC, said the commission’s suggestion was a “welcome recommendation”. “Some recruitment agencies like the SSC (Staff Selection Commission) and the Railway Recruitment Board (RRB) already have this provision,” the official added. However, the proposal is not new, the official said. “The recommendation was made to us by the UPSC in 2016, and cleared by the Cabinet the same year… But, the UPSC is figuring out the modalities,” the official added. The official also sought to clarify that the proposal didn’t recommend mandatory employment for the highest scorers in the fray. “The idea is that all employers will have access to those candidates, and can shortlist them,” he said. “In fact, after the shortlisting, if the concerned employer wants to conduct another small exam or interview, they can do that as well,” the official added. IFS officer Parveen Kaswan described the proposal as a “good idea”, saying candidates were often eliminated in the interview round because of a point or two since competition is quite stiff at the final level of selection. Talking about the proposal, a civil service officer who did not wish to be named said there could be a possible snag if candidates took up the other job without giving up on the UPSC dream. “There is only one flipside,” the officer said. “Those who appear for the civil service exam keep appearing for the exam till they get the service of their choice,” he added. “In such a case, the concerned officer does not put their heart and soul in the job they have, but instead keep trying for something else,” he added. Not a good decision at all. I hope there should be OPT OUT option also who do not want to take part in the procedure. Let me elaborate,if you are already in the service and your score is abysmally low in the current year(as you know how unpredictable UPSC is),why others government ministeries have access to my score and rank. Before taking following steps UPSC should ask candidates about the provision of same.With other government jobs ,do u think they are in same mind frame to serve the corresponding ministeries. If any 1 is preparing for CSE,how he/she will be satisfied by SSC job.They at least need an administrative jobs. If let ministries declare 200 post for 1100 non recommend candidates,then what will happen to other students who are preparing for government jobs. Till now I hope the SAI recruitment procedure for 2016-2017 has not completed. So it will better ,if UPSC will deliver a score card to all the main qualified candidates (with validation of at least 1year). It is completely depend on students to use the Score card an effective manner. Sorry who are in favor of this. It is my personal opinion,so do not make things complicated. It is not a good proposal. Ultimately a wrong person may be recruted for the job. Any way IFS foreign service may have a separate recruitment. Regarding recruitment of police they should be draft after 3 years of service in army. I think it is not wise to pass the other govt posts to those candidates who r not able to make the civil services. Ther requirements are different at different places. If u need a clerk u cant do with an officer peace. They may be placed in administrative posts on PSUs etc bot not in others govt posts. What will other candidate do who are preparing form timeimmemorial for those employments. I partly agree with Mr. Sanjiv Bhatia to increase vacancy. I would suggest that India needs urgent modernization of Indian educational system as countless educated persons are unemployable or unproductive, instead they became dangerous for our country. Therefore increase of vacancies and creation of “Indian Academics Service” to oversee the whole (state n central) curriculums, teaching Technic, welfare of students, etc. etc. so as to modernize our educational system to become a world class and productive as well. What i disagree with him is “twice interview or regional interview” since it will surely defame the most covered jobs like IAS, IPS, IFS as even chances of manipulation is visible if selection process is take over by the state or departmental agencies. Once again how many jobs are we talking about. . Jobs in the hundreds , thousands, millions. Great thought. what is not addressed is how are these jobs filled up today. Are those getting these ‘other jobs’ 3rd rate people or is the selection process 3 rd rate. Clearly if the UPSC route was taken – the current ‘other’ recruiting personnel (some aspect of it) would be redundant, No additional jobs would be created. Really great idea – long live the UPSC Long live great stories. I partly agree with Mr. Sanjiv Bhatia to increase vacancy. I would suggest that India needs modernisation of educational system as countless educated Indians are not employable or unproductive instead they became dangerous for our country in many ways. Therefore India urgently need to create “Indian Academic Service” not less than IAS to oversee the whole (state n central) curriculums, teaching Technic, welfare of students, etc. etc. so as tomodernise n become our educational system a world class n productive as well. But what I disagree with him is “twice interviews or regional interview” as it will surely defame the most covered job like IAS, IPS, IFS or even chances of manipulation are visible if state or other depatmental agencies takeover selection process. This is a good step towards power of production of young youth and reduce their psyche and other pressure but there is only problem that here those candidates will not focused on the job heartedly so work of the job may be ineffective too. But lets use it first and for the long time solution is that reduce age limit and attempts . 1 fully agree. Very good decision.The hard work made by the candidates till mains will not go waste.They are really talented and have vast knowledge which they can apply in other jobs. It’s absolutely a welcome proposal.It create a boost to the candidate at last slip hand .The candidate and their families may benefit with honour for their hard work.Though they may start again with the same hard work and attire the level of officers in Upsc but in case it’s not inside Upsc they y not outside ..atleast surround thee same track. Great Suggestion! But in case of home cadre… What about those aspirants who belongs to Union Territories like Delhi??? That’s a propaganda of Government to take away attention from Vacancies. During last 4 years, minimum vacancies have been declared in UPSC, SSC, IBPS. The focus should be on declaring vacancies.. not on diverting modes. While SSC scam and Vyapam scam by BJP are a reality.. UPSC should be kept as it is – any changes will deteriorate the situation of country. Rather outsourced employment, temporary recruitment, lateral recruitment must be curtailed.. The idea is not correct. Syllabas & compitators are peculier for civil sevices. They have the chance to get compet & get jobs in their respective state PSCs also. It is better if the same system be adopted to ssc cgl& ssc chsl,.Banking (po&clerk) and Insurence (AO&Assistant). Because qualification is same & syllabas is same for both. Aspirants gets dissappointed if not succeed even after gone through different screenings. Above exams are related to mathematical oriented. Most of them selected were mathematical back ground. Simply giving CGL&other jobs to civil sevice aspirants without suitable compitition in that sylalbas is not correct. The Flip side mentioned is not true as it is the same case when hundreds of the finalists who did not make to top job still continue to appear for another chance as we have seen many of the IAS toppers are already in other services such as IPS, IRS or other cadre. So the proposal to accommodate the interview finalist is good idea and resourse saving. Great ! PL implement at the earliest. This will create win-win. Now if you are through you are hero else you are zero. Many ruined their lives when they didn’t make it. Now they will get opportunities to serve in government and in Home state . It is good suggestion. But the question is from which date it is applicable. If it is not applicable from back date they can deprive from the benefit. Again can the state PSC Board initiate this procedure? Those who clear the interview are not amazingly talented from those who don’t. Hence it’s a welcome move if implemented. I fully agree. Keep the exam same, and increase the number of vacancies. The cut off points will automatically get adjusted to fill up the larger number of vacancies. Let there be two interviews. The candidates who do not pass beyond the first interview (tougher, and more comprehensive) stage, put them to a second interview called, for example, “regional interview” which will give the candidates an impression that it’ll be about their home state or home town etc., BUT make this interview mostly look for the candidate’s integrity and honesty. Don’t ask me how to do it, there are psychologists who sit on interview panels who know how to detect these things. Lower-on-the-list candidates too have done well in the written tests. So, they too have good intelligence, and therefore good analytical skills, and also ability to express themselves with a clarity. If they are OK also on honesty front, then everything is OK!